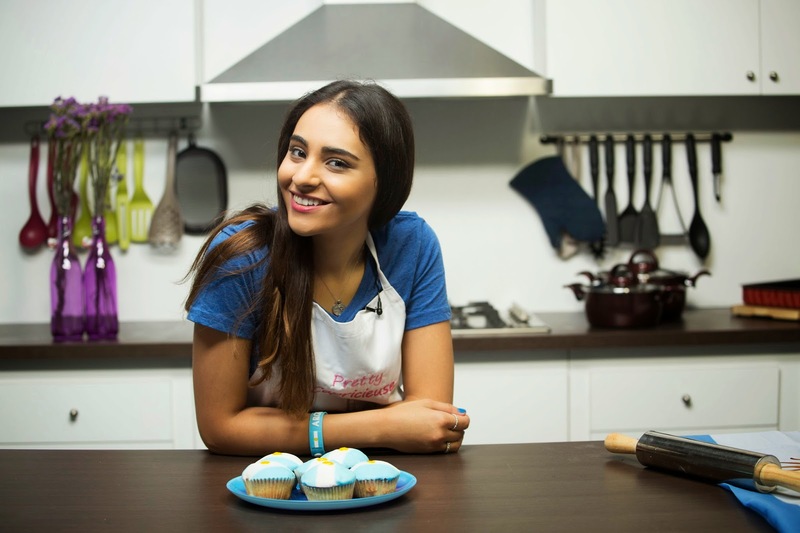 Do you think Argentina can make it to the semi finals? It would even be very exciting if Argentina manages to make it to the finals. If Brazil wins against Germany, (but seriously what are the odds?) then the South American neighbors are on fire. To start, let’s hope Argentina wins tonight! 1. Mix oil sugar and milk together until the mixture becomes creamy. 3. Add the vanilla extract and the vinegar. (tip: explain why we add vinegar and vanilla). 4. Mix the two types of flour (with the baking powder) and add it alternatively with the milk by always starting and ending with the flour. Mix with the spatula up then down in a circular move to incorporate better into the batter. 5. Put the cupcake liners in the mould and fill the ¾ with batter. 6. Bake in oven for about 15 minutes at high temperature while keeping an eye to the cake. 7. Cool in tins for 5-10 minutes, remove from tins, and let cool on a wire rack. 1. Take the white almond paste and add to it some powdered sugar, leave for the white color of the flag. 2. Take the light green almond paste, add to it some powdered sugar and then 1 tbsp of blue coloring. Knead well until the color is spread homogeneously onto the dough. 3. Place small ball of white paste between two small balls of blue paste. Flatten them using the rolling pin. Cut a circle in the paste and top it on the cupcake. 4. With yellow edible ink, draw a small sun at the center of the white line. 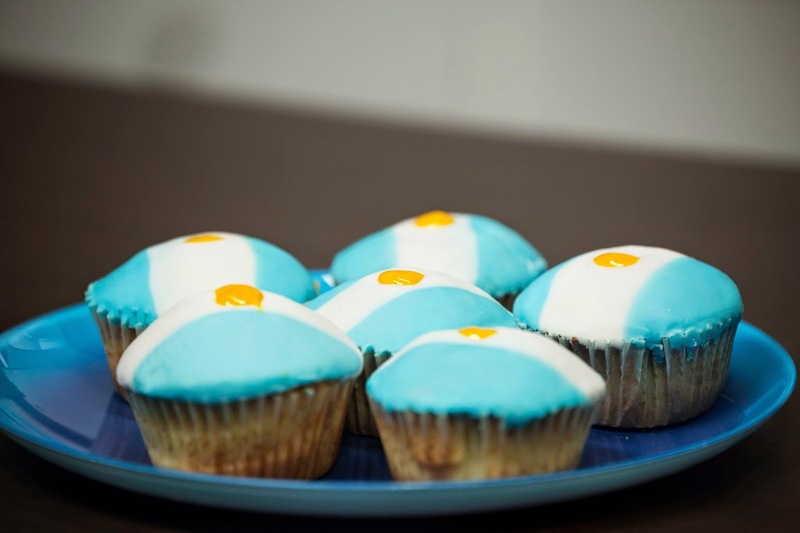 Your Argentinean flag cupcake is now ready!